Paducah welcomes fiber artists the world over to experience the renowned AQS QuiltWeek® - Paducah, now twice a year! In addition to exhibits of the most exquisite quilts being created today, AQS hosts a variety of special events, a vendor mall with approximately 400 vendor booths and a series of classes and lectures. Each year, thousands of quilters participate in workshops conducted by world-class instructors. The original AQS QuiltWeek event is set apart by competitors, attendees and attendees from around the world. Plan an unforgettable QuiltWeek experience! 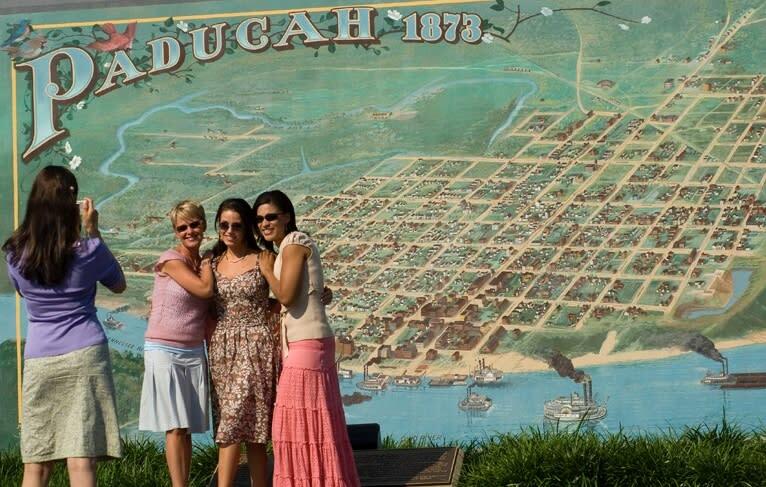 You&apos;ll find trip planning resources throughout Paducah.travel and quick links below. Request our QuiltWeek Events Guide for trip planning information and Celebrate Quilting E-Newsletter for digital updates. For more information about AQS QuiltWeek and to register, visit quiltweek.com. Paducah embraces QuiltWeek with quilt-related community and AQS-sanctioned events throughout the city, window displays and church dinners. Celebrate the depth of the fiber art experience with special events at Yeiser Art Center, African American Quilts at the Hotel Metropolitan, shopping at Paducah&apos;s quilt and fabric shops including Hancock&apos;s of Paducah and Eleanor Burns’ Quilt in a Day and so much more. Count down to the next AQS QuiltWeek - Paducah event, and celebrate quilting with us! Sign up for Celebrate Quilting updates!